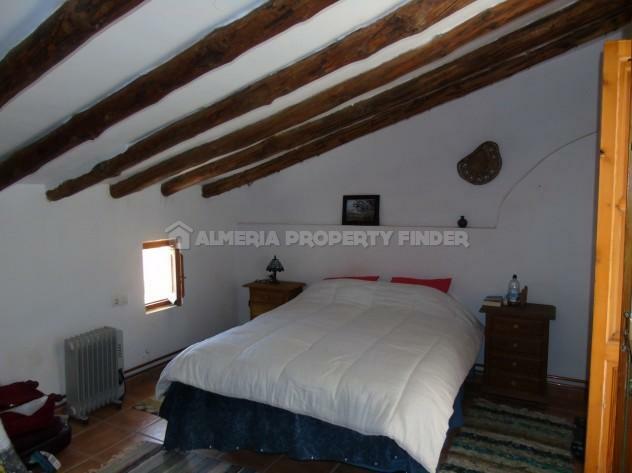 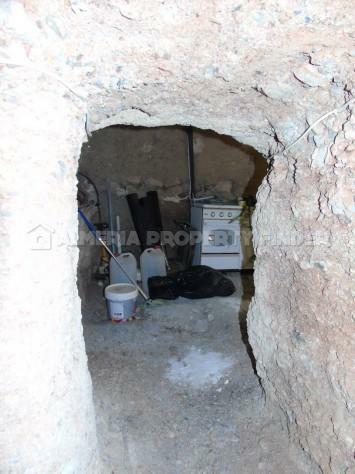 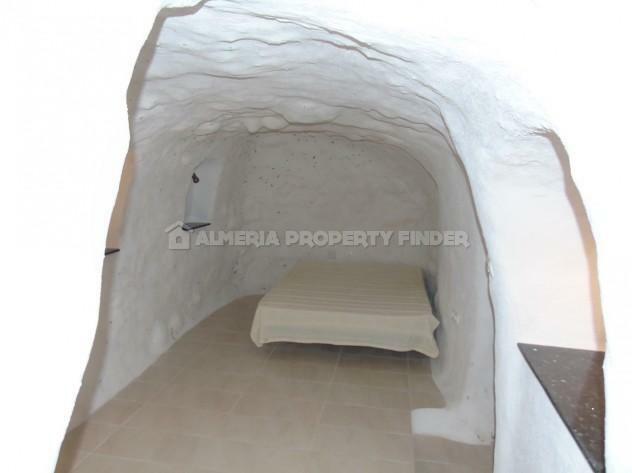 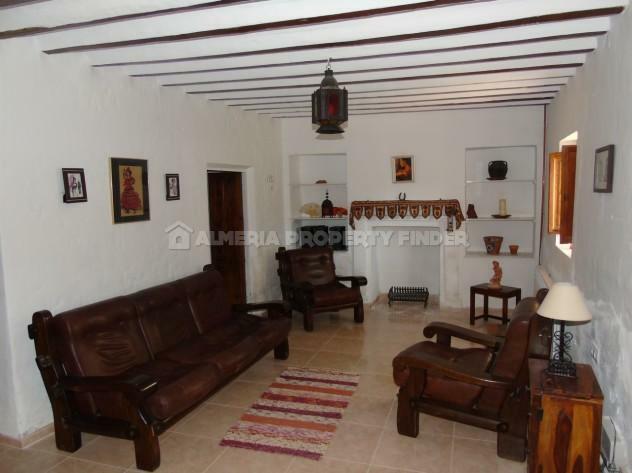 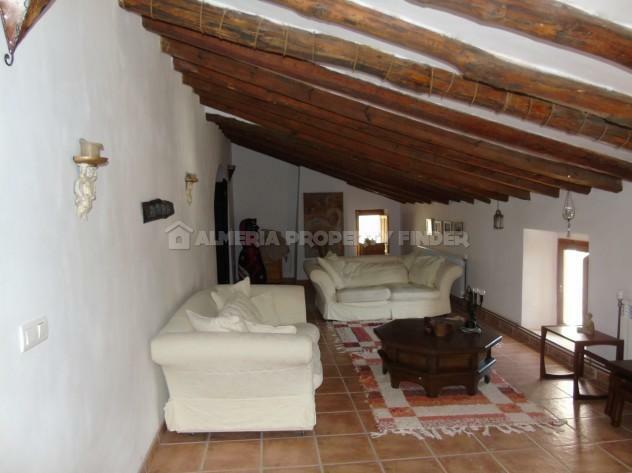 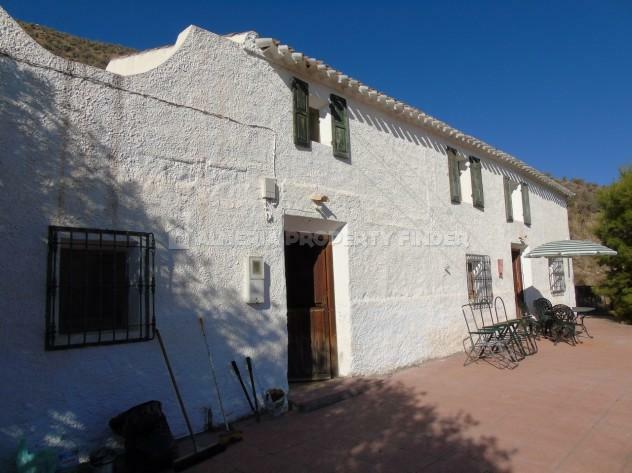 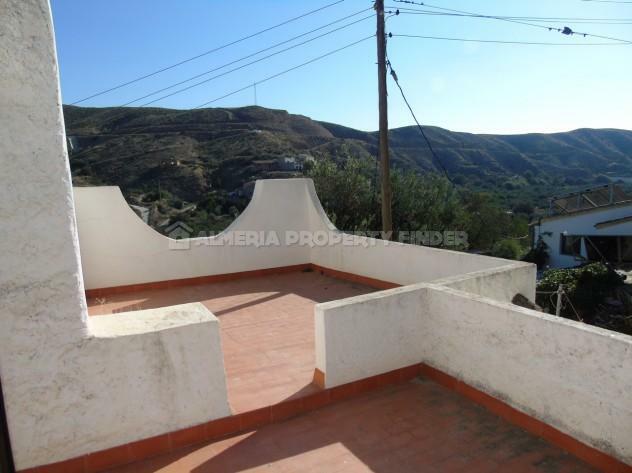 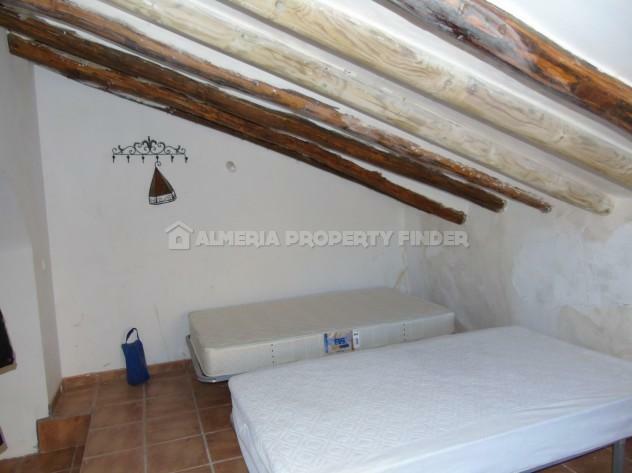 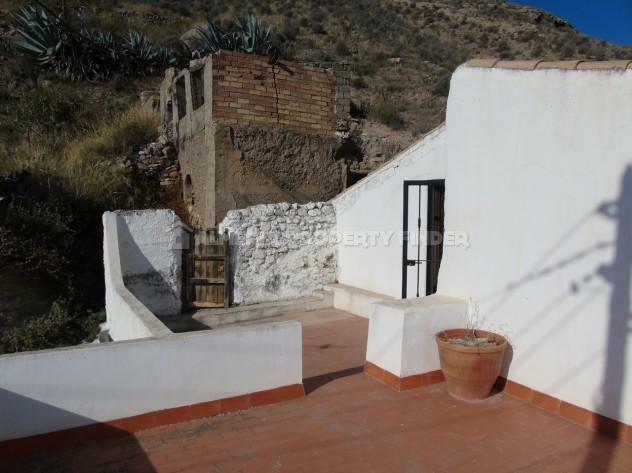 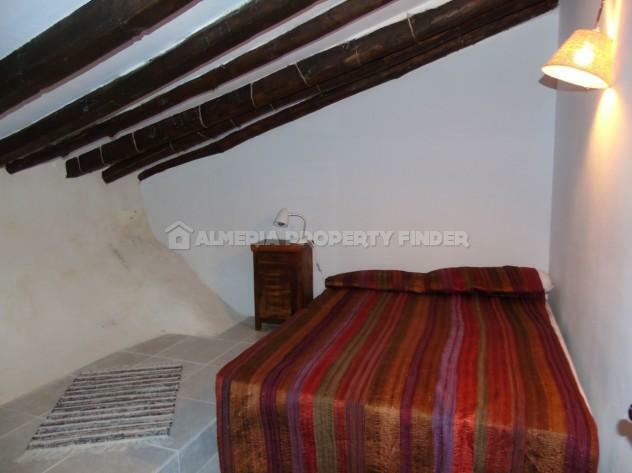 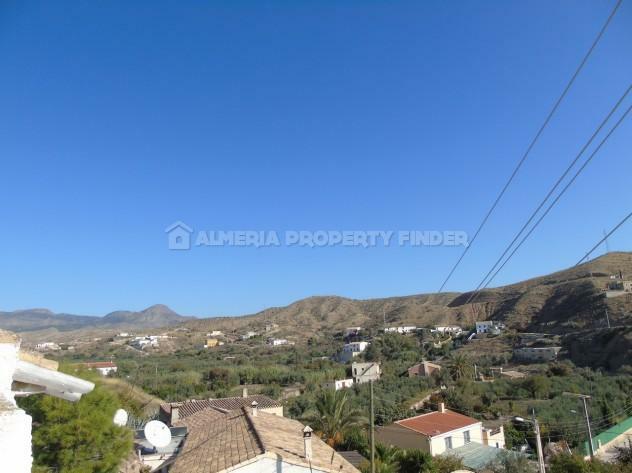 Renovated five bedroom country house with cave rooms and a double garage for sale in Almeria Province, situated in the beautiful Rambla de Oria valley with fabulous far reaching views. 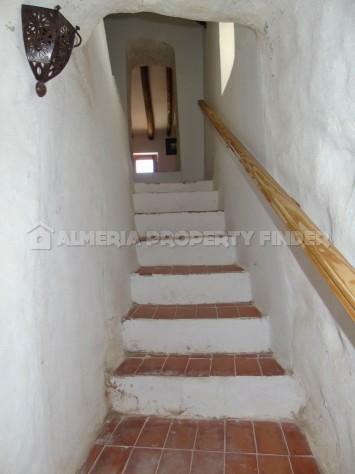 This two storey property has been renovated incorporating plenty of character and many interesting features. 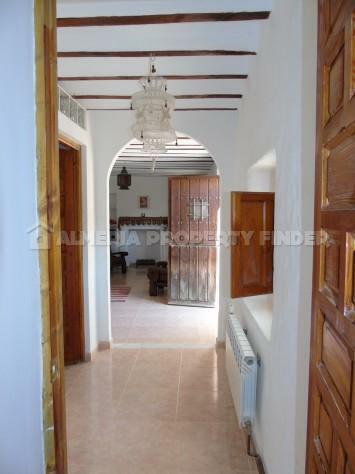 The front door opens into a large kitchen / dining room, divided by a feature Moorish style archway. 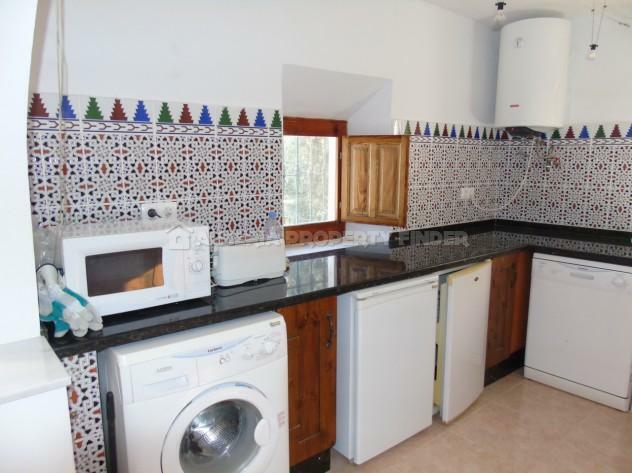 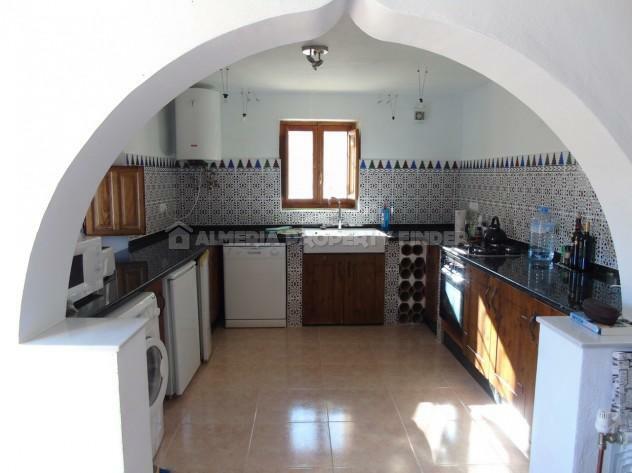 The kitchen is tiled with colourful Moorish tiles and offers a range of Andalucian style base units, a gas hob with oven below and a butler style sink. 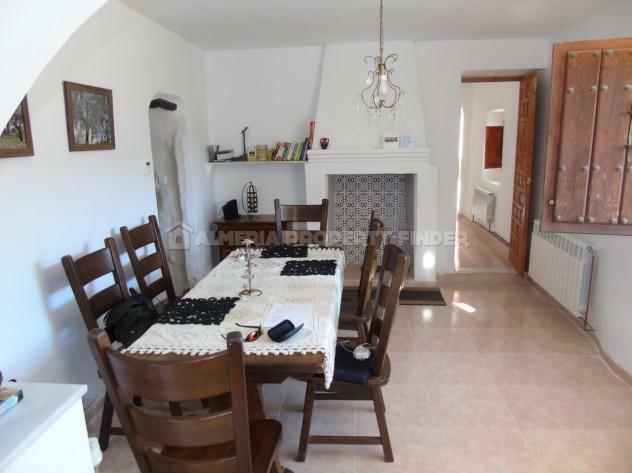 The dining area offers ample space for a 6 seater dining table & chairs and there is a feature open fireplace to one end. 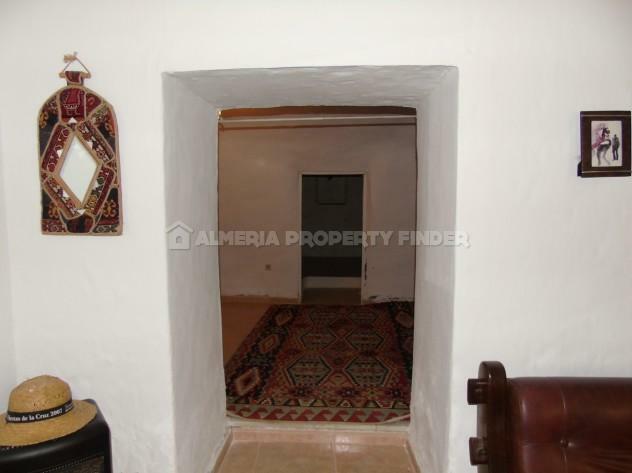 A hallway joins the dining room to the spacious lounge which also has an open fireplace. 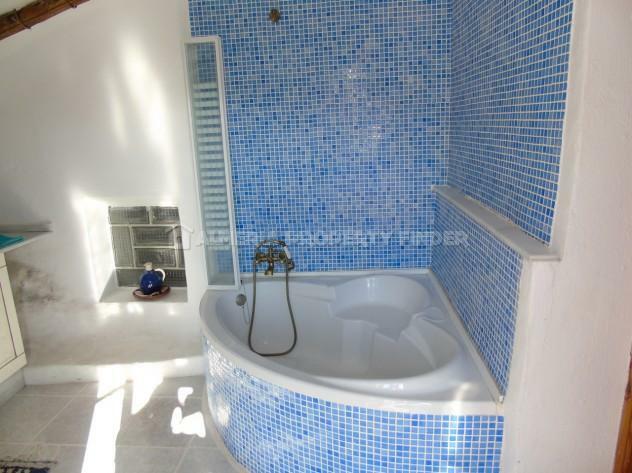 Also off the hallway is a shower room comprising tiled shower cubicle, WC and pedestal basin. 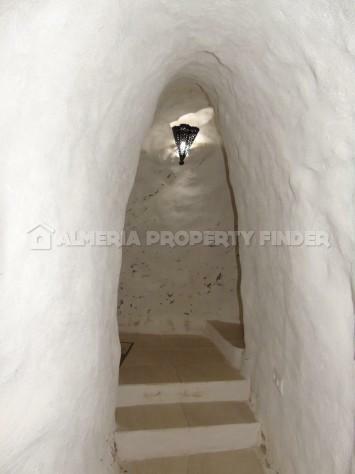 A door from the lounge leads into a bedroom, and an open doorway leads through a sitting room / snug to a cave bedroom. 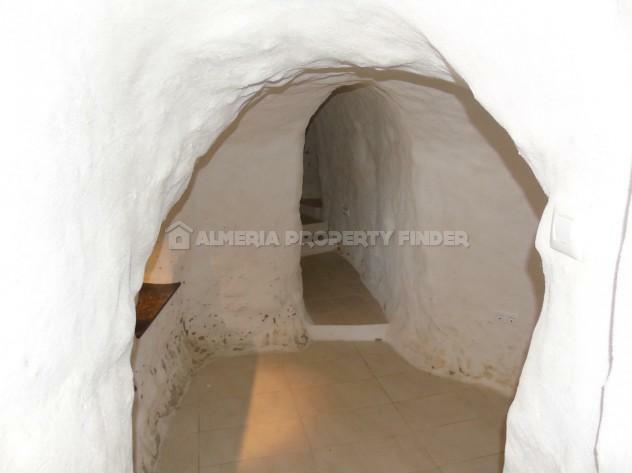 A fabulous cave corridor then leads around the rear of the house to a large cave storage room with a door to the exterior. 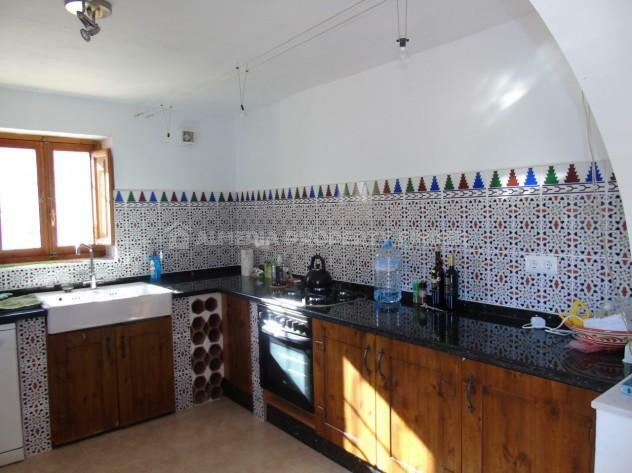 There is a second lounge on the first floor, along with two double bedrooms and the master bedroom which benefits from an ensuite bathroom and access to a roof terrace from which to enjoy the stunning views. 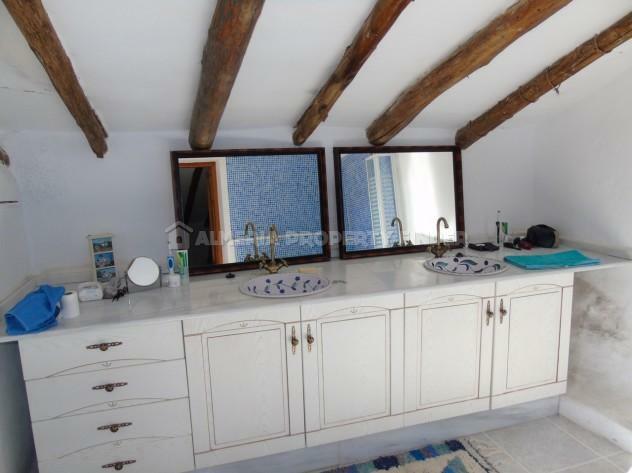 The ensuite bathroom comprises a corner bath tub, shower, WC, and twin basins set in a vanity unit. 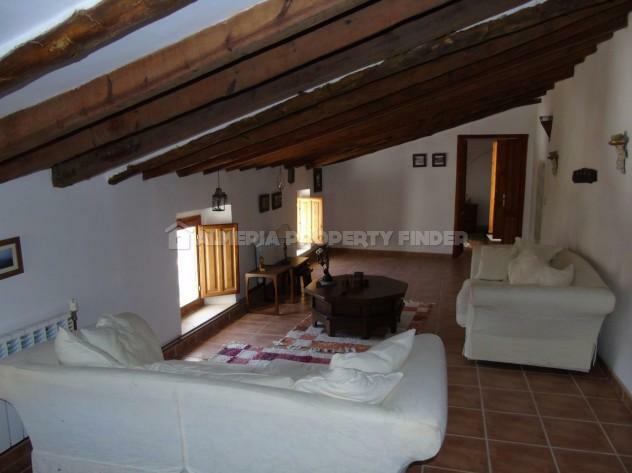 The property benefits from oil fired central heating throughout. 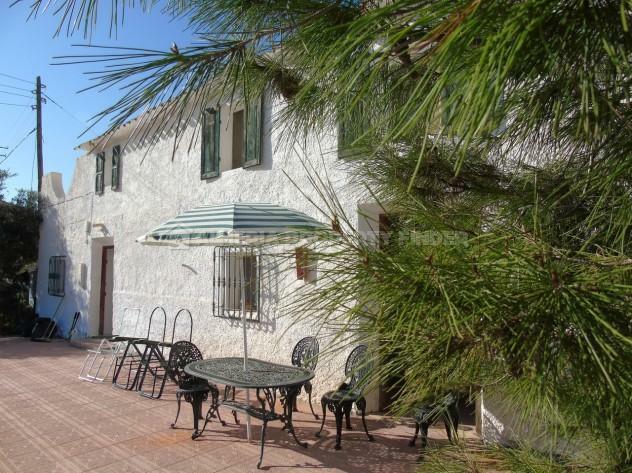 Outside, there is a large tiled terrace to the front of the house, and steps lead down through a garden to the parking area where the double garage is situated. 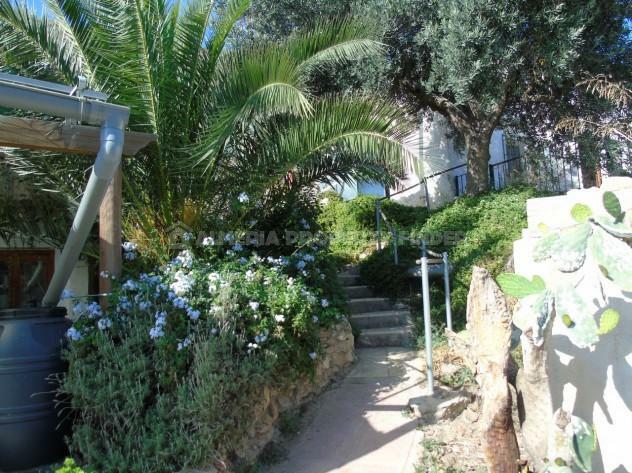 The garden is planted with olive, orange and lemon trees, and it would be possible to install an above ground pool to the rear of the house. 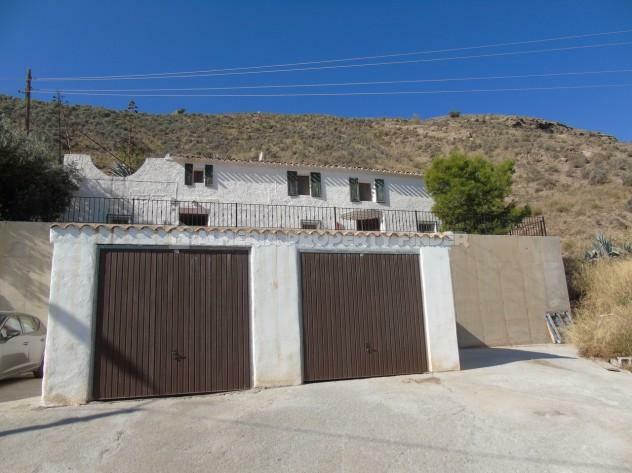 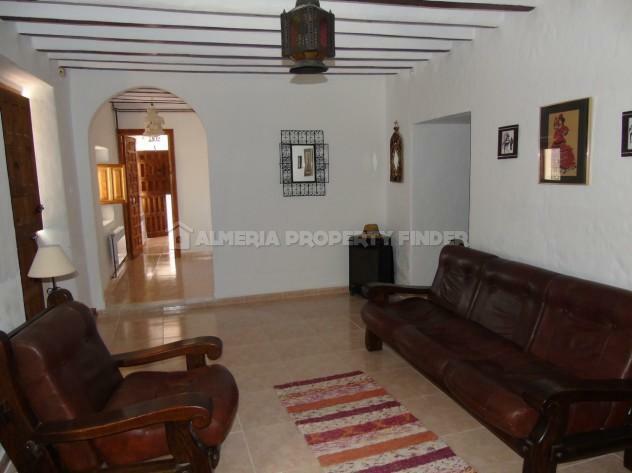 If you would like to receive details of other country houses for sale in Almeria province, please let us know your requirements and we will be happy to search our portfolio and send you details of any suitable properties for sale.